Take a look at this beautiful bespoke fitted kitchen installation in Bothwell, South Lanarkshire. 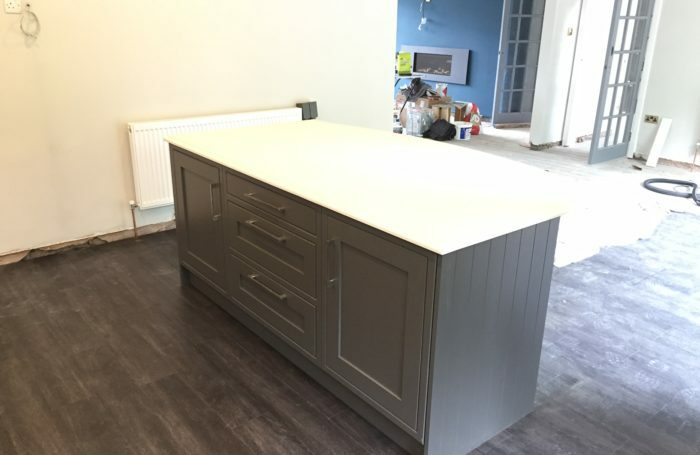 Solid granite worktop provides ample kitchen seating space and matching splash back complete the look to this contemporary style kitchen blending in to the character of this building. Modern mood lighting is an important aspect to consider when designing a modern day kitchen, it’s a crucial part of our design remit to get this right. A Rangemaster cooker was also installed providing superior use of energy efficiency throughout the entire home. 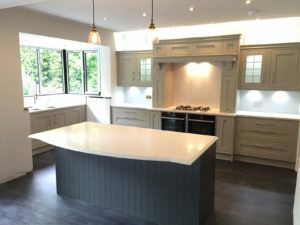 As always the highest quality finishing and construction standards ensured that this new kitchen project was completed as perfectly as each and every kitchen and bathroom that DHI install. Call today for your FREE plan.